2400 years ago the concept of Data Visualization was less known, but even than Plato said “Those who tell stories rule society“. I witnessed multiple times how storytelling triggered the Venture Capitalists (VCs) to invest. Usually my CEO (biggest BS master on our team) will start with a “60-seconds-long” short Story (VCs called them “Elevator Pitch”) and then (if interested) VCs will do a long Due Diligence Research of Data (and Specs, Docs and Code) presented by our team and after that they will spend comparable time analyzing Data Visualizations (Charts, Diagrams, Slides etc.) of our Data, trying to prove or disprove the original Story. 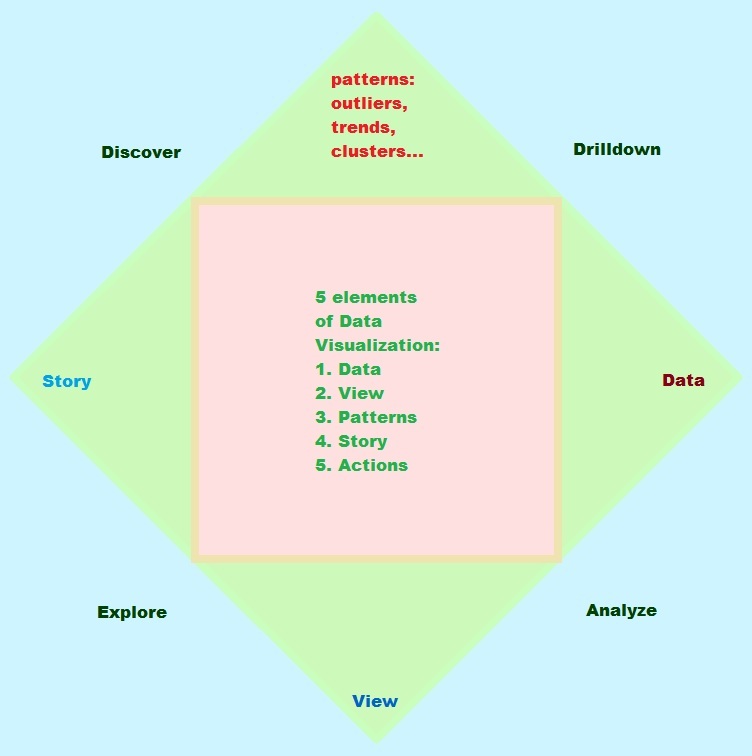 Data Visualization has 5 parts: Data (main), View (enabler), Discovery (visually discoverable Patterns), Story (trigger for Actions) and finally the 5th Element – Action! Life is not fair: Storytellers were there people who benefited the most in the end… (no Story no Glory!). And yes, Plato was correct – at least partially and for his time. Diagram above uses analogy with 5 Classical Greek Elements. 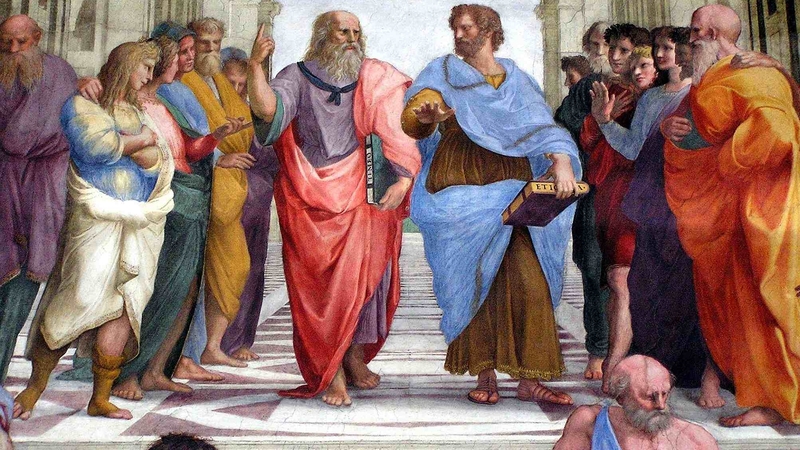 Plato wrote about four classical elements (earth, air, water, and fire) almost 2400 years ago (citing even more ancient philosopher) and his student Aristotle added a fifth element, aithêr (aether in Latin, “ether” in English) – both men are in the center of 1st picture above. If number of DataPoints is too large per View and affecting the triggering power of the story, then it can be reduced too (in conversations with Tableau they even recommending 5000 Datapoints per View as a threshold between Local and Server-based rendering).